A 2008 survey involving 46 responding rheumatology fellowship program (RFP) directors (PDs) (46/135, 33% responder rate) found that 41% included some aspect of musculoskeletal ultrasound (MSUS) in their training. Although not a RFP requirement, more programs have since incorporated MSUS training. Our goal was to assess the current state and ascertain the needs for MSUS education among RFPs, in addition to determining methods of curricular integration. Two surveys (S1, S2) were developed and sent via the online survey tool QualtricsTM. S1 is a 13-item needs assessment [ultrasound (US) machine accessibility, faculty training, and institutional support] sent to all PDs of current RFPs. S2 is a 32-item curricular assessment sent to lead MSUS faculty designated by PDs. S1: Out of 113 currently active RFPs, 103 (91%) PDs responded; 94% of RFPs are currently offering some form of MSUS training. Lead MSUS faculty were identified as: key clinical faculty (KCF) (44%), PDs (24%), and other non-KCF (15%). US machine access was reported as follows: owns (76%), leases (5%), shares with another division (15%), no access (5%). 84% of RFPs reported at least 1 faculty competent in MSUS. Of 6 programs not engaged in MSUS, all would like to eventually offer training. 66 (63%) of PDs felt that inclusion of MSUS into the RFP curriculum should be optional; 33 (32%) preferred for it to be mandatory, while 4 (3.8%). felt it should be excluded. S2: Out of 97 RFPs offering MSUS training, 71 (73%) responded. Of the respondents, 41% have a formal written curriculum. 81% would share curricula, and 69% would collaborate in curriculum development. At least 1 faculty member in each RFP has been described as having received MSUS training (34%), certification (32%), and are actively teaching fellows MSUS (52%). Overall, ACR certification was obtained by 88%. Common training avenues were the: ACR Fundamentals Course (52%), USSONAR Train-the-Trainers Course (38%), and faculty instruction (39%). Common curriculum topics were anatomy, procedures, image optimization, and sonopathology. Common instructional strategies were hands-on-clinic-teaching (HOCT), USSONAR fellowship program, and online materials. Procedure logs were the most common evaluation method. HOCT was accomplished via dedicated faculty US clinic in 49%. Fellow access to machines was available in continuity clinics, dedicated US clinics, and faculty clinics. Of 65 programs with an identified MSUS clinic, more teaching emphasis was on diagnostic US (41%), US-guided procedures (22%), or an equal emphasis in both areas (41%). While 86% of RFPs reported time for self-directed learning/practice, this occurred primarily in the second year of training in 54%. MSUS is a graduation requirement in 7% of programs. The major barriers to MSUS integration were inadequate clinic time, and lack of training funding for faculty and fellows. MSUS has become prevalent in RFPs. Most programs have access to equipment and educators. Curricular integration is heterogeneous. Curricular and assessment tool standardization is widely desired among PDs. Information from these surveys will inform educators moving forward. Disclosure: K. M. D. Torralba, None; A. C. Cannella, None; E. Y. Kissin, None; M. B. Bolster, Johnson and Johnson, 1,Eli Lilly and Company, 2,ACR, Committee on Training and Workforce, Chair, 6,ACR Board of Directors, Member, 6,RRF Board of Directors, Member, 6,ABIM Council, Member, 9,ABIM Rheumatology Specialty Board, Chair, 9,ABIM, Rheumatology Exam Writing Committee, Chair, 9,RRF, Amgen, 9,Abbvie, 9; J. B. Higgs, None; J. Samuels, None; M. J. Nishio, None; G. S. Kaeley, None; A. M. Evangelisto, None; P. J. DeMarco, Auxilium Pharmaceuticals, 2,AstraZeneca, 2,Amgen, 8,Abbott Immunology Pharmaceuticals, 8; M. J. Kohler, None. Torralba KMD, Cannella AC, Kissin EY, Bolster MB, Higgs JB, Samuels J, Nishio MJ, Kaeley GS, Evangelisto AM, DeMarco PJ, Kohler MJ. Musculoskeletal Ultrasound Education Among Rheumatology Fellowship Programs in the United States [abstract]. Arthritis Rheumatol. 2015; 67 (suppl 10). 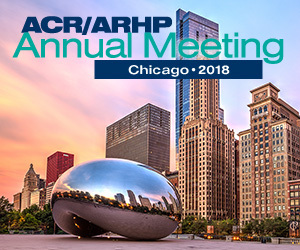 https://acrabstracts.org/abstract/musculoskeletal-ultrasound-education-among-rheumatology-fellowship-programs-in-the-united-states/. Accessed April 20, 2019.